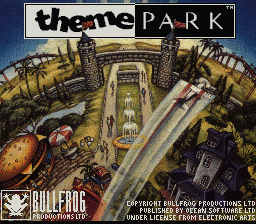 Theme Park is a amusement park management simulation game for the Super Nintendo. 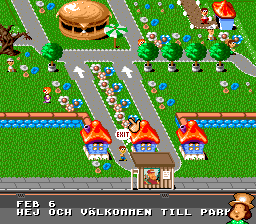 Here is a Swedish translation for the SNES title, Theme Park. 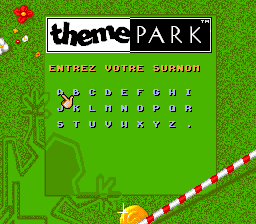 This patch must be applied to the European ROM with a header.